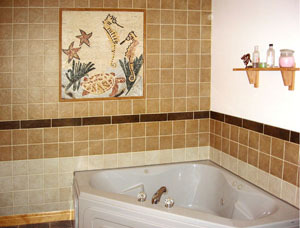 Bathrooms walls are a great space to express your style. 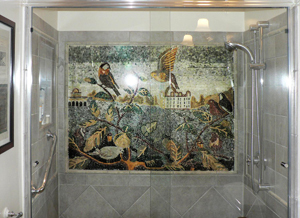 From colors to material or patterns, you can create the art you want with tiles. 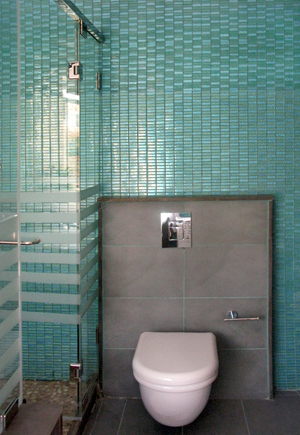 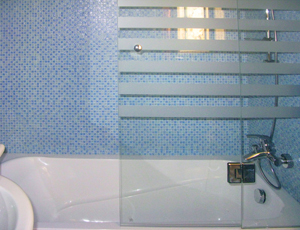 Whether you choose to go with glass tiles, or ceramic, or metallic, you can change your bathroom’s mood upside down by adding a touch of color or a movement through the endless choices of mosaic. 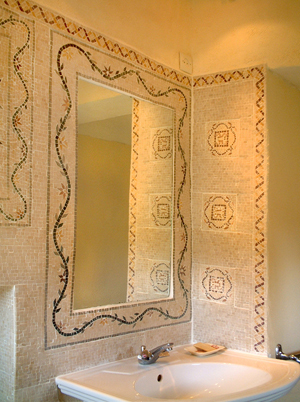 For a classic and neat look, go with neutral colors like beige or white. 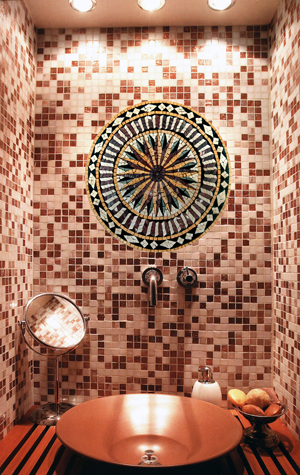 For a bolder look, go for darker colors and daring patterns as a backdrop to showers, sinks or toilets. 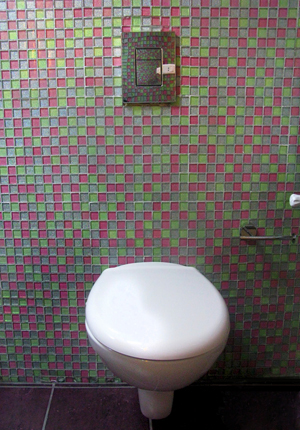 You will never have to worry about quality and resistance with mosaic tiles as they are made to last years wherever you place them.